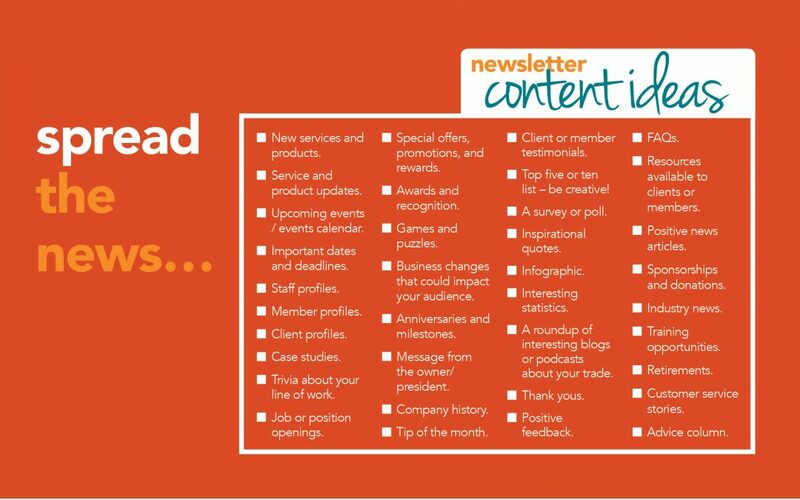 Finding topical, engaging content for your company or organization’s printed or email newsletter can be challenging. We know the feeling. We go through the process every three months as we come up with content for our own newsletter. So we’ve come up with a handy checklist to make the process a bit less daunting. At Leech Printing, we can help you design awesome printed or electronic newsletters for your clients or members… and provide creative ideas for setup, paper, printing, finishing, and email delivery. Give us a call or email, and we’ll help you get started! Give us a call today (local 204-728-3037 or toll-free 1-888-756-4433), or complete our online quote request form.